Ilan was born in New Jersey and moved to Israel in 1986 after years of activity in the Young Judaea youth movement. Upon arriving in Israel, he helped found the Keren Kolot Educational Seminar at Kibbutz Ketura, wrote a text book for teaching English at the high school level, and then went on to be the head of the Education Committee on Kibbutz Yotvata, and supervisor of Civics at the regional high school. In 1996, he worked as an emissary for college students in North America on behalf of Hadassah. From 2002 until 2004 he directed the Jewish Agency Department of Education’s global student activities, and then returned to the United Sates as the Jewish Agency’s representative to Hillel and Student Affairs in North America. Beginning in August, 2007 he served as the director of the Jewish Agency’s educational efforts in North America and directed MAKOM, the Israel Engagement Network in North America. Ilan returned to Israel in 2009, continuing his work as the Director of the Jewish Agency’s North American regional office and was involved in the creation of Onward Israel, of which he is currently the President and CEO. Ilan lives In Modiin with his wife Shoshi and two children, Amit and Adi, and their beloved dog, Eddie. If you meet Ilan, be sure to say a kind word about the Boston Red Sox. Elliot has been an active member of both the Jewish and general communities where he has lived including leadership within United Way, Jewish Family Service, Hillel and his family’s congregation. Elliot was the Founder of the Nonprofit CEO Council of Southern Nevada and served on the Las Vegas Mayor’s Community Nonprofit Block Grant Committee and the Multi-Cultural Advisory Board to the Sherriff of Clark County. Elliot has a Masters Degree from the Benjamin S. Hornstein Program in Jewish Communal Service at Brandeis University and a Bachelors Degree in Political Science from SUNY Stony Brook. Most recently, he served as Executive Director of the Aventura Turnberry Jewish Center in Miami, Florida. 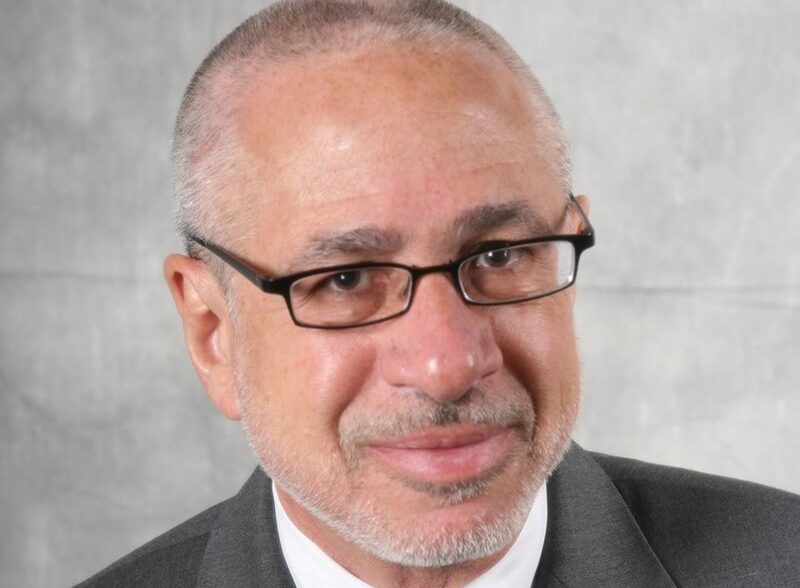 Previously he served 7+ years as the President & CEO of the Jewish Federation of Las Vegas and was the Director of Financial Resource Development for the Jewish Federation of Cincinnati for 15 years. He has held senior management positions with Jewish Federations in Columbus, Ohio; the Jewish Federation of Greater Philadelphia; National United Jewish Appeal; Brandeis University; Hebrew Union College and the Jewish Agency for Israel. 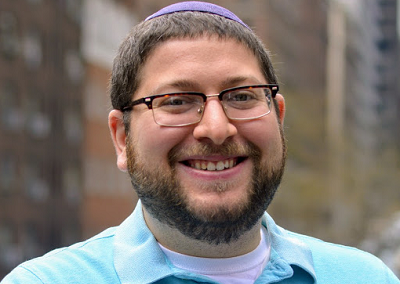 He has served as a consultant to several not-for-profits organizations including Fuente Latina; Yeshiva Toras Chaim Toras Emes; the JCC on the Palisades in Tenafly, New Jersey; Hebrew Immigrant Aid Society and Jewish Community Center Association. Elliot brings his 35 years of professional leadership experience in the Jewish communal and not-for-profit field to his role as Onward Israel’s VP for Development. He has expertise in all aspects of fundraising and financial resource development. He has a tremendous understanding and appreciation of the broader Jewish communal agenda and has professional managerial experience that includes strategic planning, programming, marketing and communications, budgeting, community relations, security and staff development and supervision. Elliot and his wife Sharon are the proud grandparents of Micah, the son of daughter Naomi and Howard Tilman. Naomi is a Senior Talent Manager for Hillel International and Howard is Rabbi of Congregation Beth Israel in Scotch Plains, N.J. Their son Joshua and his fiancé Amy will be married next month in Philadelphia where Josh is a Major Gifts Officer for Rutgers University Law School and Amy is a Real Estate Appraiser in business with her father. Jessica was born in raised in New Jersey. Throughout her youth, she attended and worked at Ramah movement summer camps and was involved in United Synagogue Youth (USY). 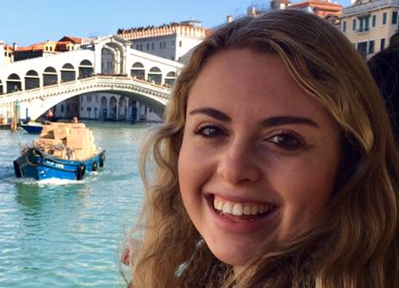 During college, she had the opportunity to study abroad in two incredible cities, London England and Haifa Israel, which helped shape her interest in giving young people the opportunity to have immersive abroad experiences. After graduating from Boston University with a B.A. in International Relations in 2008, she started work at the Jewish National Fund (JNF). 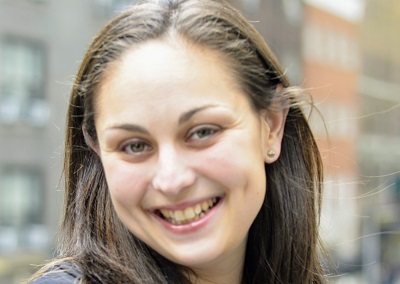 Jessica served in multiple roles at JNF including in the Israel Advocacy and Education department and later in the Greater New York region as an events manager. In 2013, she completed her Masters Degree in Public Administration with a focus in Nonprofit Administration from Baruch College of the City of New York. She had the opportunity to participate in Germany Close Up and is currently a Birthright Israel Fellow. Having been involved with Onward Israel since its inaugural year, Jessica proudly serves as the Onward Israel North American Director. She lives in New York City where she is an avid Yankees fan and loves to explore the city for different types ethnic foods. Eliran is married to Maayan and father to Or-Yosef. From a very young age Eliran was active in social organizations as both participant and staff. Eliran served as a fighter and commander in the Israeli navy. After this he was a Shaliach in US, before returning to Israel to continue his career. In the last few years he was a Director of Programs in diverse projects such as ‘Taglit’, ‘Masa Israel’, and more. His academic career includes a B.A degree in Political Science and Public Communication. Currently he is completing his Master’s degree in the Studies of American Jewry. During his years as a student, Eliran participated in a number of significant leadership programs such as The Stand With Us Fellowship, The Jewish Statesmanship Center and the program for educators for Jewish Peoplehood in Beit H’atfutzot. Among other endeavors, Eliran lived in and managed the Tel Aviv ‘Moishe-House’ extension. 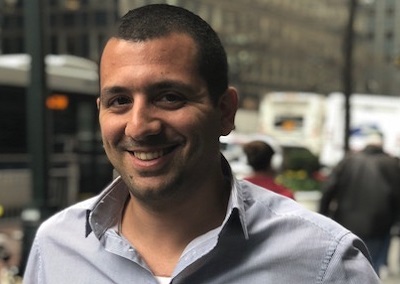 In addition, Eliran founded and manages his own company ‘Kelim Shluvim’ that specializes in the development and management of training skills for diverse audiences. Eliran is a big fan of sports and music of any kind. 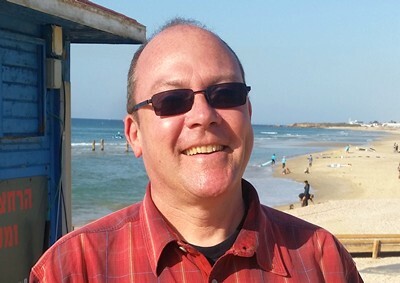 Scott currently serves as the Vice President and Director of Education at Onward Israel. He holds a B.A. from Brandeis University in Judaic Studies and an M.A. from Hebrew University’s Institute of Contemporary Jewry, and is also a graduate of the Mandel Jerusalem Fellows, a prestigious leadership development center for the Jewish educational world. Scott has worked as a tour guide and educator in a wide variety of Israeli and Diaspora settings. He has taught in Jewish communities around the world and has been deeply involved in educational tourism. 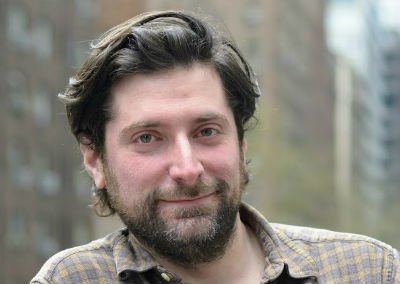 His areas of expertise include Israel studies, Jewish history and thought, and travel as an informal educational arena. 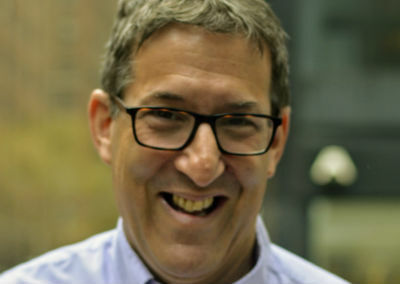 Scott has published online for the Jewish Agency, at Jewishlearning.com, in Shma, in Zeek, and in Blätter für Deutsche und Internationale Politik. His article on the vision and practice of Israel Travel Education appears in the Springer Press Handbook of Jewish Education. Scott served as a reserve officer with the IDF Spokesperson’s Bureau. He was also the founding director of the Taglit-Birthright Israel Institute for Tour Educators, an academy providing training in experiential Jewish education for the tour guides/educators of Taglit-Birthright Israel. As VP of Marketing and Communications, Brad creates and implements marketing strategy, finds new ways to grow Onward’s network and engage its community, and manages the organization’s branding, web presence and social media channels. Brad grew up in suburban Detroit, and lived in the Philippines before moving to New York City. Brad comes to Onward Israel with over a decade of marketing experience, both inside and outside of the Jewish communal world. Before working at Onward Israel, Brad helped to build robust online communities for 16 Handles frozen yogurt company, JDC Entwine, American Friends of The Hebrew University, and Columbia/Barnard Hillel. Brad received a Masters in Informal Jewish Education from the Jewish Theological Seminary, and Bachelors degrees in Comparative Religion and Journalism from Western Michigan University. He is also the founder and editor of Burger Weekly, a blog dedicated to finding and sharing the best hamburgers in the country. Veronika was born and raised in Vilnius , Lithuania, After making aliyah in 1990 she continued her B. A studies in Hebrew University in the field of Sociology and History. Veronika worked for the Jewish Agency for 20 years , mostly with educational projects for young adults and professional projects to new immigrants all over the world . In 2001-2004 and 2007- 2008 she worked as an emissary in Kiev , Ukraine, working with local Jewish community and other Israeli organizations such as Nativ, ORT, and private companies , running the Israeli oriented activities , seminars , summer camps etc. After returning from the second emissary mission Veronika directed the professional integration unit In The Jewish Agency , focusing on helping new olim build their careers in Israel. She joined the Onward Israel team in November 2015. Veronika is married to Boaz and has 3 suns – Eliyahoo and Yonathan – soldiers in the IDF, and Noam – middle school student. Sives in Mevasseret Zion, a small town near Jerusalem, and is a big fan of music of any kind , interior design, travelling, and good coffee. Keren was born in Paris. She studied in Jerusalem at the David Yellin College of Education, earning a BA in Informal Education and History. As a student, Keren spent her summers in Israel guiding groups from abroad with with the JNF. 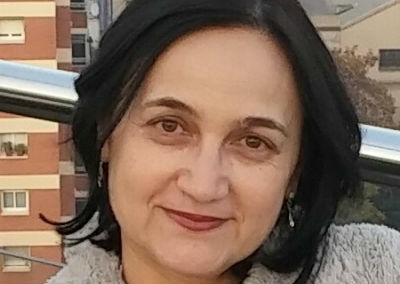 In 2005, Keren began to working at Yad Vashem as a guide, and two years later she became coordinator for all educational activities for students from abroad at Yad Vashem’s International School for Holocaust Studies. At the same time, she began working with March of the Living, guiding groups in Poland which she still does to this day. From 2011-2015, Keren worked at Taglit Birthright Israel as a Program Evaluation Coordinator, and from 2015-2018 she was the Educational Director at the World Betar Movement. 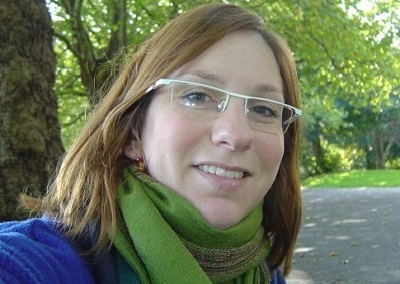 Today, Keren is in charge of housing, internships, and security issues at Onward Israel. Desiree manages the coordination recruitment and registration for theme-based programs. With the expansion of theme-based programs, she works on best practices for recruiting participants and works with organizers on the ground to ensure meaningful summer experiences. Desiree is a Long Island native and went to Fordham College Lincoln Center where she studied Religious Studies and History. After graduating from Fordham, she went on the Onward Israel New York Service Learning Program. This experience fostered her desire to give back and prompted her career in the non-profit sector. After returning from Israel, Desiree worked at UJA-Federation of New York in the SYNERGY department. Desiree lives in New York City, loves to travel, run in Central Park, and hang out with family and friends. After her army service as an Operations Officer in the North Face of Israel, Yael worked at a JCCA Summer Camp in Georgia. She returned to Israel and worked on the screening and training team for the Jewish Agency for Israel’s Summer Shlichim Program. Her passion for Jewish education and for Israel led her to participate in a tour guide course with the Birthright Educator Institute. 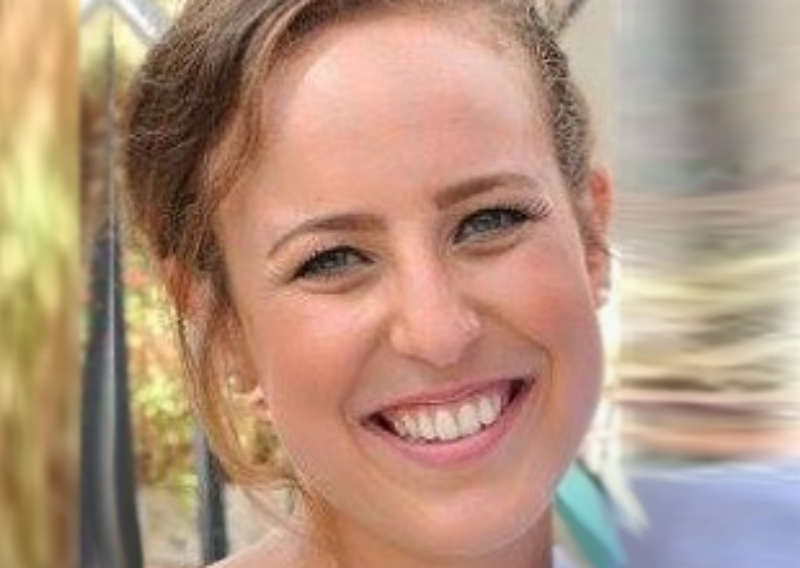 After graduating from the course, Yael worked with varied educational tourism groups in Israel. Over the years, Yael also worked in different positions in the URJ movement in Israel. Yael was raised in Ra’anana, Israel, and has been living in Jerusalem for the last few years. She holds a BA degree in Land of Israel Studies from Haifa University and is an MA student in American Judaism at Haifa University. 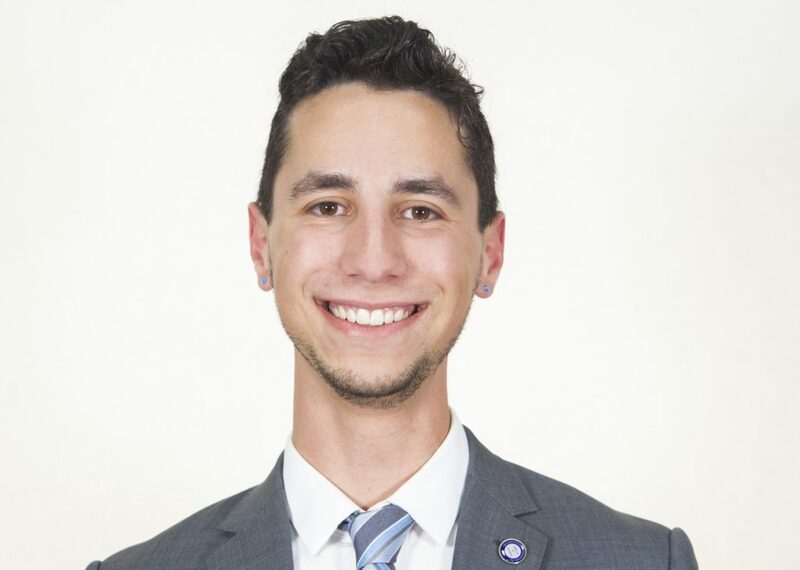 Jacob grew up in Eugene, Oregon and studied Political Science with a focus on the Middle East and the Environment at the University of Oregon. He spent the summer between his Junior and Senior years as participant on Onward Israel’s Green Energy Theme-Based Program where he lived in Bat Yam and worked in an alternative energy start-up in Tel Aviv. Prior to joining the Onward Israel team, Jacob worked at Cornell Hillel where he recruited for and led Taglit-Birthright Israel trips, facilitated on-campus Israel programming, and assisted students in locating and taking advantage of various related opportunities – including Onward Israel. Jacob currently lives in Denver and during the weekends he can be found yelling at the TV as he roots on the Oregon Ducks and the Cleveland Browns. Liad coordinates Onward Israel’s CRM system and website. she takes the lead on interactions for logistics issues with program organizers before and while the programs are running and is also managing the Israel office and in charge of Ilan Wagner’s schedule, Onward Israel’s CEO. Previously, Liad has worked in the Priority Regions Division ,Scholarships Unit and the Social Activism Unit of The Jewish Agency for Israel. She has a MA in Educational Management & Policy from the Hebrew University in Jerusalem, and a BA in International Relations, Sociology and Anthropology. Liad is married to Yaniv and a mother to Eitan, Nevo and Re’em and lives in a Moshav near Jerusalem. She really loves interior design and art. Koby Geller grew up in Teaneck, NJ, and graduated from the University of Maryland with a degree in government and politics, Jewish studies, and Israel studies. He spent two formative pre- and post-college years living in Israel, where he studied at Hebrew University, volunteered as a first responder with Magen David Adom, studied at the Pardes institute, and interned with Knesset member, Yoel Hasson. His interest in building strong communities led him to pursue rabbinical studies at Yeshivat Chovavei Torah (YCT) in Riverdale, NY. During his rabbinical studies he spent another year learning in Israel at Yeshivat Hakotel. He also has worked at NYU and Drew University as a Hillel staff member, and ultimately, coordinates Onward Israel’s New York program. Koby, his wife Tali, and their daughter Annaelle live in Riverdale, NY. In his free time you can find him cheering on Boston sports teams, playing board games, and eating vegetarian food. Sara Naor joined the Onward Israel team as its first Western Coordinator and helped kick start their Bay Area program as its recruiter. Sara was born in Israel and spent her early life in Kibbutz Na’an. She moved to Los Angeles at the age of 6 and spent her remaining childhood growing up in the San Fernando Valley. 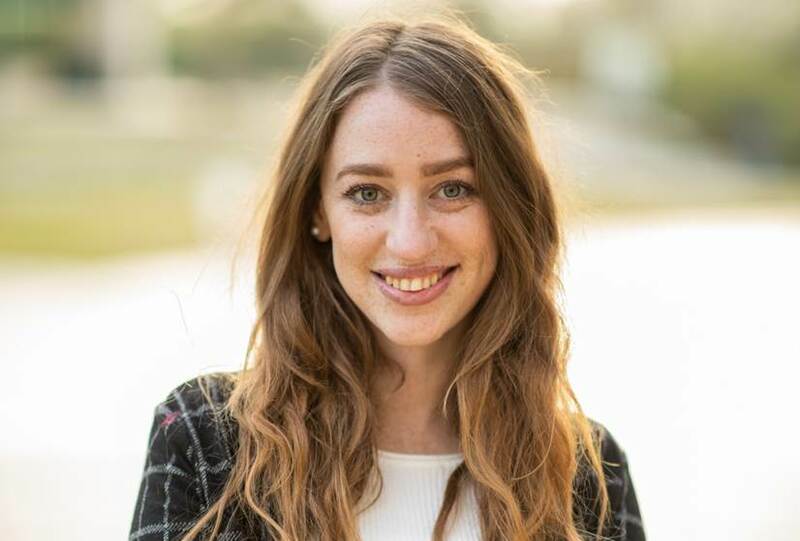 An alumna of UC Irvine, Sara was a member of every Jewish student board possible which led her to discover a passion for Jewish communal engagement. She graduated with a degree in Film and Media and a minor in Jewish Studies and went on to work for the Jewish Agency for Israel’s Los Angeles office. 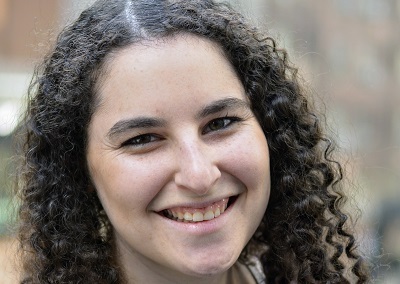 Now, Sara applies her passion for Jewish engagement to helping young adults aged 19-27 connect with Israel through meaningful summer experiences. Sara is located in the Bay Area where she is exploring her new home city and bundling up against the San Francisco cold. An Israeli native, Ilana moved to Canada when she was 8, then to the US when she was 15. She went to The Pennsylvania State University for her Bachelor (Communications & Foreign Languages) and Masters (International Affairs) degrees. Upon completing her education, she moved back to Israel for a MASA program, where she taught English at an elementary school in Ashdod (her hometown- talk about coming full circle!) for 10 months. Shortly after completing the teaching fellowship, Ilana worked at Hillel Ontario, where she focused on engagement, building relationships, and planning educational programs as the Program Coordinator and Springboard Ezra Fellow at Queen’s University Hillel (in Kingston, Canada). Ilana is extremely excited to be joining the Onward Israel team in New York, and to give back to the organization that gave so much to her (you could say that Onward sparked her interest in the Jewish professional world, as she was an Onward intern in 2015 herself! ), working as the Theme Based Programs Coordinator. Ilana is passionate about experiential education, the Jewish world, traveling, and dogs. She hopes her experience living in New York City will be similar to that of the FRIENDS characters– we shall see about that! Zehavit coordinates finance and operations at Onward Israel, taking the lead on budget issues, and managing negotiations with suppliers and organizers. Zehavit served in the army as a satellite communication guide in the Computer and Information Corps. 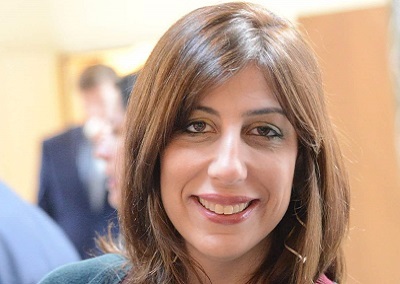 Prior to joining Onward Israel, she has worked at the Jerusalem Mayor’s building as a social media intern in the mayor’s spokesperson’s office. She has B.A in Journalism and Social Media from Ramat Gan College. Zehavit is married to Tomer. They live in Jerusalem and are expecting the first child. Zehavit likes to paint in oils and acrylic colors on canvas. Eliana grew up outside of Washington, D.C. in Fairfax, Virginia. She played college softball for two years at Muhlenberg College and completed her B.A. at George Washington University in Political Science and Anthropology. Eliana had the amazing opportunity to live in the center of Jerusalem for a year while she studied and received her M.A. in Israel Studies from Hebrew University. 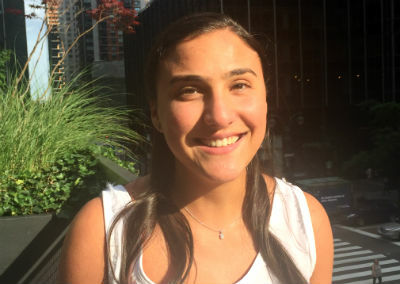 Eliana has interned on Capitol Hill, at the Jewish Community Relations Council of Greater Washington, AIPAC, the Embassy of Israel in DC and for Member of Knesset Merav Michaeli. In addition to her role as Onward Israel’s Operations & Program Assistant, she is currently a Birthright Israel Fellow and was privileged to be a part of their first cohort in Israel. In her spare time, Eliana loves to run and travel. When Renana was a child her family went on a four year Shlichut program to Canada. There she created a deep connection and personal identification with the international Jewish community. Ever since, she has been active and connected to the worldwide Jewish community and committed to connecting it. She believes the personal and national connection between all diaspora communities is important and significant for personal, communal, and national development. Renana traveled to various Shlichut missions in South Africa, Australia and the Netherlands. In Israel, she worked with youth and young adults from all over the world in cooperation with federations, schools and youth movements. Renana is a BA graduate in Business Administration and is currently getting a masters in American Jewish Studies though the Ruderman program at the University of Haifa.